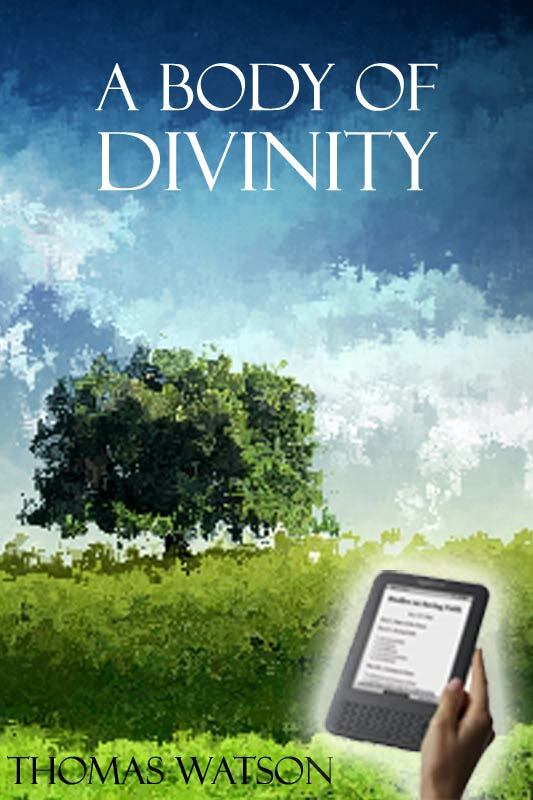 Thomas Watson’s Body of Practical Divinity is one of the most precious of the peerless works of the Puritans; and those best acquainted with it prize it most. Watson was one of the most concise, racy, illustrative, and suggestive of those eminent divines who made the Puritan age the Augustan period of evangelical literature. There is a happy union of sound doctrine, heart-searching experience and practical wisdom throughout all his works, and his Body of Divinity is, beyond all the rest, useful to the student and the minister. Although Thomas Watson issued several most valuable books, comparatively little is known of him - even the dates of his birth and death are unknown. His writings are his best memorial; perhaps he needed no other, and therefore providence forbade the superfluity. We shall not attempt to discover his pedigree, and, after the manner of antiquarians, derive his family from a certain famous Wat, whose son distinguished himself in the Crusades, or in some other insane enterprise; whether blue blood was in his veins or no is of small consequence, since we know that he was the seed-royal of the redeemed of the Lord. Some men are their own ancestors, and, for ought we know, Thomas Watson’s genealogy reflected no fame upon him, but derived all its lustre from his achievements. He had the happiness to be educated at Emmanuel College, Cambridge, which in those days deserved to be called the School of Saints, the nursing mother of gigantic evangelical divines. In Kennet’s 'Register and Chronicle,' is a list of eighty-seven names of Puritan ministers, including many well-known and loved as preachers and commentators; such as Anth. Burgess, W. Jenkyn, Ralph Venning, Thomas Brooks, T. White, Samuel Slater, Thomas Watson, John Rowe, Dr. W. Bates, Stephen Charnock, Samuel Clarke, Nathaniel Vincent, Dr John Collings, William Bridge, Samuel Hildersam, Adoniram Bifield, followed by this remark, 'These are most of them mentioned in the list of sufferers for Nonconformity, and appear upon the registers to have been all of Emmanuel College, beside great numbers, no doubt of the same society, who were forward preachers up of the unhappy changes of 1641,' etc. In the margin of the book is the following observation on the foregoing: 'It may not be improper to observe how much young students, in both Universities, fell in with the prejudices of their governors and tutors. This was the reason that this single College of Emmanuel, in Cambridge, bred more of the Puritans and Nonconformists than perhaps any seven of the other Colleges or Halls in either University." Such a fact as this should attract the prayers of all believers to our seminaries for the sons of the prophets, since upon the manner in which these institutions are conducted will depend under God the future well-being of our churches. The Pastors, College, for the use of whose students this work is published, earnestly petitions for a place in the intercessions of the saints. We are not at all surprised to learn that Thomas Watson enjoyed the repute, while at Cambridge, of being a most laborious student; the great Puritanic authors must have been most industrious workers at the university, or they never would have become such pre-eminent masters in Israel. The conscientious student is the most likely man to become a successful preacher. After completing his course with honour, Watson became rector of St Stephen’s, Walbrook, where in the very heart of London he executed for nearly sixteen years the office of a faithful pastor with great diligence and assiduity. Happy were the citizens who regularly attended so instructive and spiritual a ministry. The church was constantly filled, for the fame and popularity of the preacher were deservedly great. Going in and out among his flock, fired with holy zeal for their eternal welfare, his years rolled on pleasantly enough amid the growing respect of all who knew him. Calamy, in his Nonconformist Memorial, says of him: - 'He was so well known in the city for his piety and usefulness, that though he was singled out by the Friendly Debate, he yet carried a general respect from all sober persons along with him to his grave. He was a man of considerable reaming, a popular, but judicious preacher (if one may judge from his writings), and eminent in the gift of prayer. Of this, the following anecdote is a sufficient proof. Once on a lecture day, before the Bartholomew Act took place, the learned Bishop Richardson came to hear him at St Stephen’s, who was much pleased with his sermon, but especially with his prayer after it, so that he followed him home to give him thanks, and earnestly desired a copy of his prayer. "Alas!" (said Mr Watson) "that is what I cannot give, for I do not use to pen my prayers; it was no studied thing, but uttered, pro re nata, as God enabled me, from the abundance of my heart and affections." Upon which the good Bishop went away wondering that any man could pray in that manner extempore. But the hand which of old had oppressed the church was again stretched forth to vex certain of the saints. The most learned, holy, and zealous of the clergy of the Church of England found that the Act of Uniformity would not allow them to preserve a clean conscience and retain their livings, and therefore they submitted to the loss of all things for Christ's sake. Thomas Watson did not hesitate as to the course he should pursue. He was not a factious hater of royalty, a red republican, or fifth monarchy-man; in fact, he had in Cromwell's day been all too loyal to the house of Stuart; he had protested against the execution of the King, and had joined in Love's plot for the bringing in of Charles II; yet all this availed nothing, he was a Puritan, and therefore must not be tolerated by the bitter spirits then dominant in the Establishment. What seeds of discord were sown on that black Bartholomew history has not had space to record; yet the ultimate results have been fraught with results scarcely then imaginable. Comprehension might have hindered truth; the crown rights of King Jesus might have lacked advocates had monarchs and priests been more tolerant; as it was good men were forced into a truer position than they would otherwise have occupied, and the beginning of a real reformation was inaugurated. From that commencement in suffering what progress has been made! Every day the cause of the ejected gathers force and pushes on its adversary towards the brink of the precipice, a down which all establishments must fall. After his ejectment, Watson preached occasionally whenever he could do so with safety. Fines and imprisonments were insufficient to close the mouths of the witnesses of Jesus. In barns, kitchens, outhouses, or dells and woods, the faithful few gathered to hear the message of eternal life. Those little secret assemblies were doubtless charming occasions for devout minds: the word of the Lord was precious in those days. Bread eaten in secret is proverbially sweet, and the word of God in persecution is peculiarly delightful. Little can we realise the joyful anticipation which preceded the appointed meetings, or the lingering memories which clung to them long after they were over. After the great fire in 1666, when the churches were burned, Mr Watson and several other Nonconformists fitted up large rooms for those who had an inclination to attend. Upon the Indulgence, in 1672, he licensed the great hall in Crosby House, on the east side of Bishopsgatestreet, then belonging to Sir John Langham (a Nonconformist). It was a happy circumstance that the worthy baronet favoured the cause of Nonconformity, and that so noble a chamber was at his disposal. Here Watson preached for several years. Rev Stephen Charnock, B.D.’ became joint pastor with him at Crosby Hall in 1675, and continued so till his death in 1680. What two shepherds for the flock! Men of such most extraordinary gifts and graces were seldom if ever united in one pastorate. They both attempted a Body of Divinity, and the goodly volume on the Divine Attributes was Charnock’s first stone of a colossal structure which he was not spared to complete. Our author was more modest in his attempt and the present volume shows how he succeeded. Mr Watson at length returned to Essex, where he died suddenly, in his closet at prayer, as is supposed, about 1689 or 1690. The time either of his birth or death is nowhere mentioned. Mr Watson published a variety of books upon practical subjects, and of a useful nature, for the titles of which, see foot-note. * But his principal work was a body of divinity, in one hundred and seventy-six sermons, upon the Assembly’s Catechism, which did not appear till after his death. It was published in one volume folio, in 1692, and accompanied with a portrait of the author, by Sturt; together with a recommendatory preface by the Rev William Lorimer, and the attestation of twenty-five other ministers of principal note in that day. For many a year this volume continued to train the common people in theology, and it may still tee found very commonly in the cottages of the Scottish peasantry. Rev George Rogers, Principal of the Pastors, College, has carefully superintended the issue of this present edition, and in a note to us he writes: 'I know of no work with so much sermon matter within the same compass. In Howe, and Charnock, and Owen, we must often read much before we are tempted to close the book and think out a whole sermon, but Watson teaches us to make short work of it. The whole may be utilised. On this account it would be, I think, of great value to all our students who have pastorates. It is for their benefit, I suppose, you wished the reprint. As several select sermons, which are usually bound up with this work, will appear with his whole works, after a time, in Nichol’s series, they are not included here. This is a distinct work by itself and complete. All editions extant which we have seen, abound in errors and imperfections. These have been rectified, not entirely we fear, but in a degree as nearly approaching to accuracy as in revision of another's composition could be expected. No alteration of sentiment has been made, but every shade of the author's meaning has been scrupulously retained. The style has been modernised, so far as could be done without detracting from its own peculiar characteristics. Long sentences have been divided into two or three, where it could be done without injury to the clearness or force of the signification. Modern words have been substituted for such as had become obsolete; Latin quotations restored to their correct form, as far as their sources could be ascertained; and divisions of subjects more perspicuously arranged. The whole, in fact, has been rendered more readable, and consequently more attractive and intelligible, which in our estimation far outweighs all the supposed advantages that could arise from perpetuating the crudities and vulgarities, as they now appear to us, of former times. By popularising ancient works, their readers are multiplied and their meaning may often be more readily apprehended'.